Based on the beloved tale of a girl in a red hooded cape off to see her grandmother, Whistler Studios brings this fairytale to life with their new line, Little Red Riding Hood. 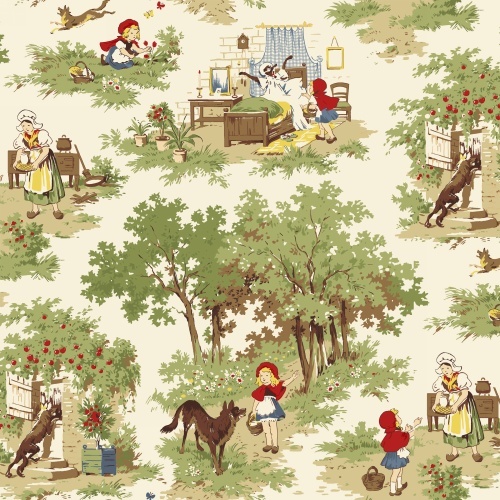 With a slight 1930s inspiration, this darling collection features a main print of little Red encountering the wolf, a tossed basket print, and a word print of well-known quotes from the tale. Perfect for children�s quilts and for home d�cor items to brighten up your walls or kitchen. 18 skus. On sale October 2017. Delivery to stores February 2018.